If your theme implements non standard, non Google Fonts (eg, TypeKit fonts) you can add them to Max Mega Menu to make the fonts available within the Theme Editor. Note: The following guide assumes your theme already includes support the custom font. 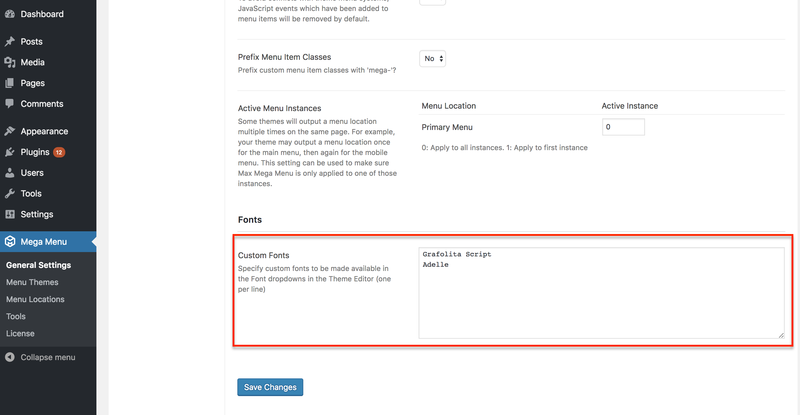 Once you have entered the custom fonts you’d like to use, go to the Theme Editor (Mega Menu > Menu Themes) and edit your menu theme. 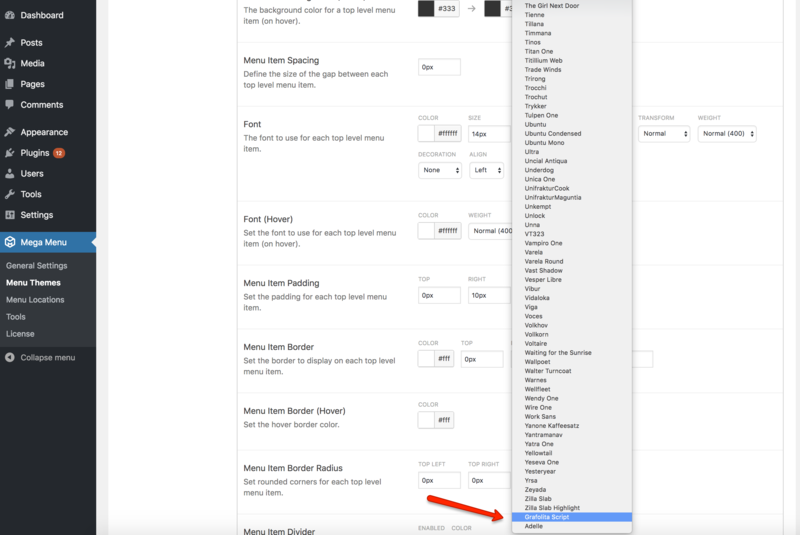 You will see your custom fonts listed at the bottom of each font selector.